wow! even I, the jaded observer of all things magical at chez Dellables, was impressed! another happy Bride in the making! 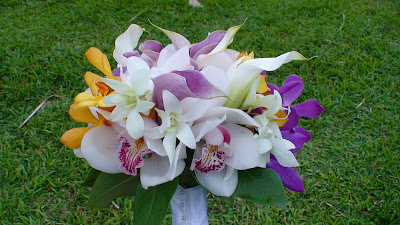 The colors in this Bridal Bouquet are nothing short of Fabulous!